It’s a good time of year to be a pear lover. This fiber-filled fruit is in season, so it's even more delicious than usual. But it's possible to have too much of a good thing. If you find yourself with more fresh pears than you can handle, don't let them go to waste! Instead, make something you can enjoy over time, like this ginger cardamom pear butter. Unlike ‘real’ butter, this spread is almost entirely fat free. Plus, ginger may have disease-fighting properties, making it a smart choice as flu season heats up. Plus, it's easy to make. 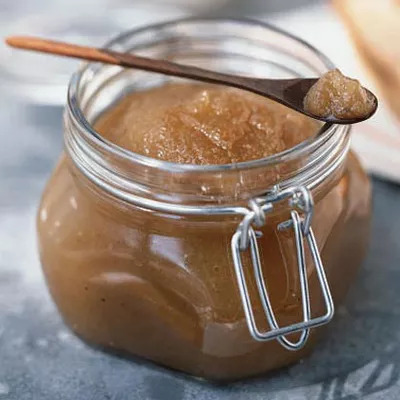 Just throw the pears in a blender or food processor, mix the resulting pear puree with the other ingredients, and simmer for about three hours, or until it thickens. Spread this ‘butter’ over a slice of whole-grain toast, or stir into a bowl of oatmeal to spice things up.